With 2019 underway, planning documents in Oxfordshire are continuing to progress. 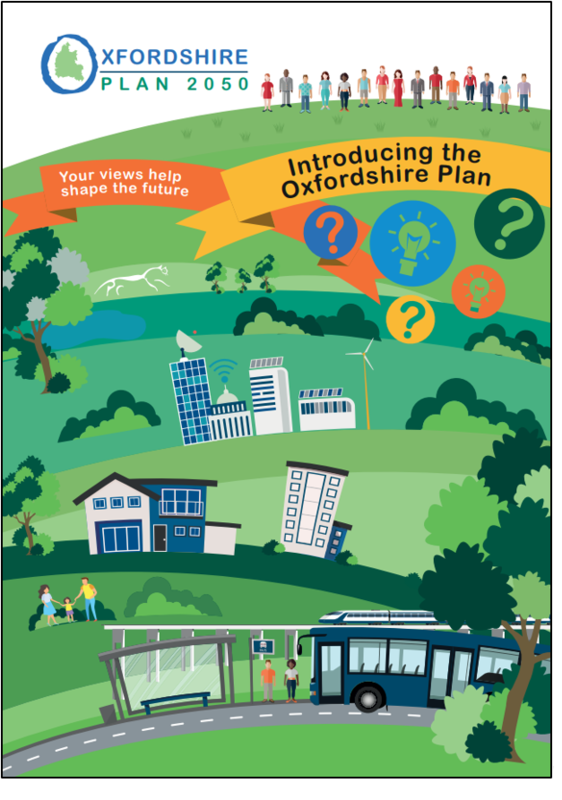 The first consultation on the Oxfordshire Plan 2050 is underway, running from 11 February until 25 March 2019. The consultation covers the ‘vision’, objectives and amount of development. The Plan will set a broad direction for planning and development in Oxfordshire up to 2050. Cherwell District Council is carrying out a partial review of the adopted Cherwell Local Plan 2031 Part 1, which is at examination hearing stage, with adoption anticipated for 2019. The Oxford Local Plan 2036 will have hearings starting in late summer or autumn so the plan can be adopted in early 2020. The Community Infrastructure Levy examination is expected to run alongside this. The South Oxfordshire Local Plan 2034 is anticipated to be submitted on 29th March 2019 with expected adoption happening in late 2019. The Vale of White Horse Local Plan Part 2 is expected to be adopted in June / July 2019 following receipt of the Inspector’s Report expected in June. In West Oxfordshire work has begun on the Area Action Plan for the Oxfordshire Cotswolds Garden Village with the estimated adoption date being July 2020. Edgars continue to identify opportunities for our clients by tracking and highlighting the important changes that are happening to planning across Oxfordshire. Should you wish to understand what this could mean for your land, please get in touch.